1. When did this become an expansion team? It seems lost, unmotivated and talentless. 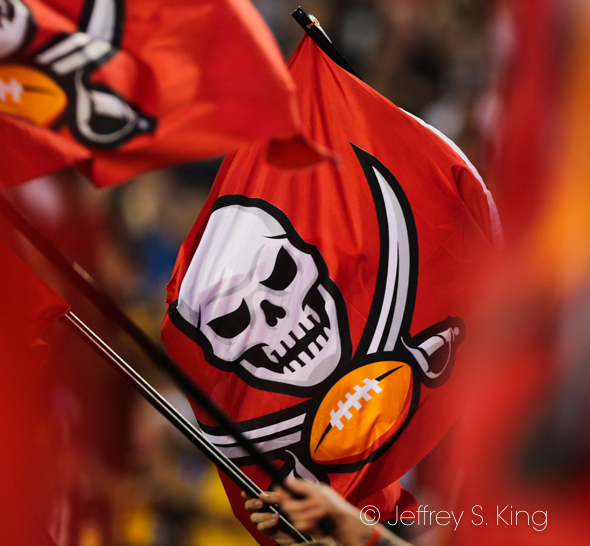 The Bucs may win a couple more (and may not), but there is no team in the league to whom it can't lose. 2. Has anyone seen Mike Evans lately? Do we know if he made the flight home? Suddenly, the guy is The Invisible Man. 3. Here's a bit of perspective. In faking a punt and throwing one of the worst passes in the history of football, Bryan Anger's quarterback rating was 39.9. 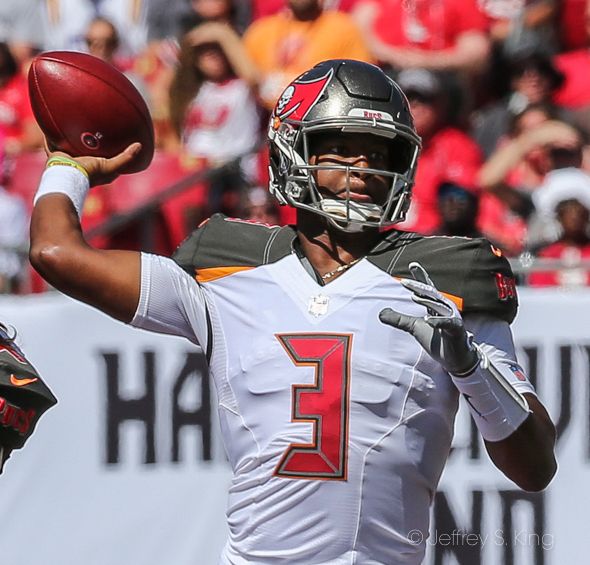 The week before, Jameis Winston's was 47.7. So all those years of training, of practice, of the Heisman Trophy, of winning the national title, the No. 1 draft status and great receivers are worth just 7.8 points? 4.There is a look in the eye of beaten coaches. Dirk Koetter has that. He's not innocent here, either, but the play calling is better than the play execution. 5. If they had the NFL re-draft tomorrow, when does Ronald Jones get picked? When does Vita Vea? "So just how good can these Carolina Panthers be? "In the first half Sunday, they were pretty darn scary. Then in the second half, for different reasons, they were also pretty darn scary. What had been a 28-point Panthers lead at one point in the second quarter dwindled to seven. Then Carolina’s offense scored one final touchdown, order was restored and the Panthers won 42-28, over Tampa Bay. "The victory pushed the Panthers to 6-2 at the midpoint of the season with another game coming at them fast and furiously — at Pittsburgh on Thursday night. These Panthers are going to be in the playoffs for the fifth time in six seasons unless they really mess things up. But how far can they really go once they get there? A team that gives up 21 consecutive points to Tampa Bay — making me Google “Biggest Blown Lead by the Panthers” early in the fourth quarter — isn’t close to ready to size itself for Super Bowl rings. (The answer was 21 points, by the way)." "For all its struggles, Tampa Bay entered the day with a stout run defense, ranking 10th in the NFL with 96.9 yards allowed per game. Carolina broke the century mark on three first-half runs by Curtis Samuel (33 yards), D.J. Moore (32 yards) and Christian McCaffrey (35 yards)." "In a game full of highlights -- see McCaffrey, Christian -- former Ohio State star Curtis Samuel made up for an early drop with a pretty run on a double reverse in the second quarter. Samuel started left, then cut back right and jogged in an early 21-7 lead. "According to NFL Next Gen stats, Samuel ran 104 yards on his 33-yard scoring run. "Carolina's Curtis Samuel arguably had the TD of the weekend, his 33-yard double reverse covering nearly 104 actual yards, per Next Gen Stats. "Slot wide receiver Adam Humphries looked more like an impact player today as opposed to the fourth or fifth option. His quick, precise route-running led to two impressive touchdown receptions, the second coming on a slant pattern from the 30-yard line that saw him avoid three defenders on his way to the end zone off a short slant pass. 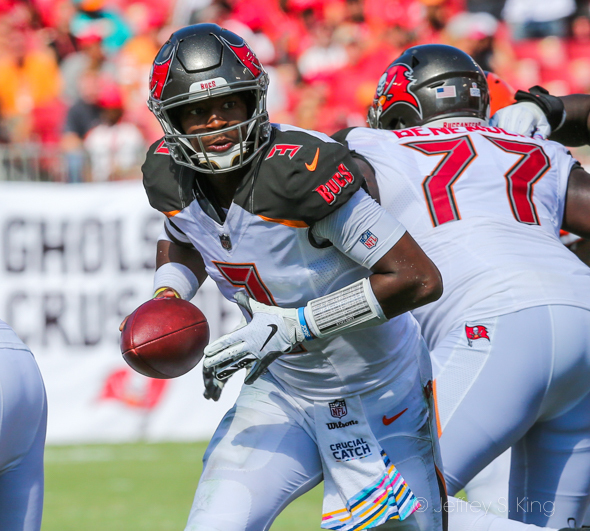 "When the Bucs’ offense stalled early in the first half and late in the game, it was the offensive line that struggled most. The inability of the line to handle stunts and basic bull-rushes prevented receivers from having the time they needed to run routes and kept Ryan Fitzpatrick on the run. "The Buccaneers’ defense never seemed to be able to keep up with all the trick plays the Panthers threw at them. The unit on a whole was continually out of place and just a step behind resulting in multiple missed tackles, over pursues and busted assignments. "Linebacker Adarius Taylor has been struggling all season long, and the Panthers used that to their advantage Sunday. 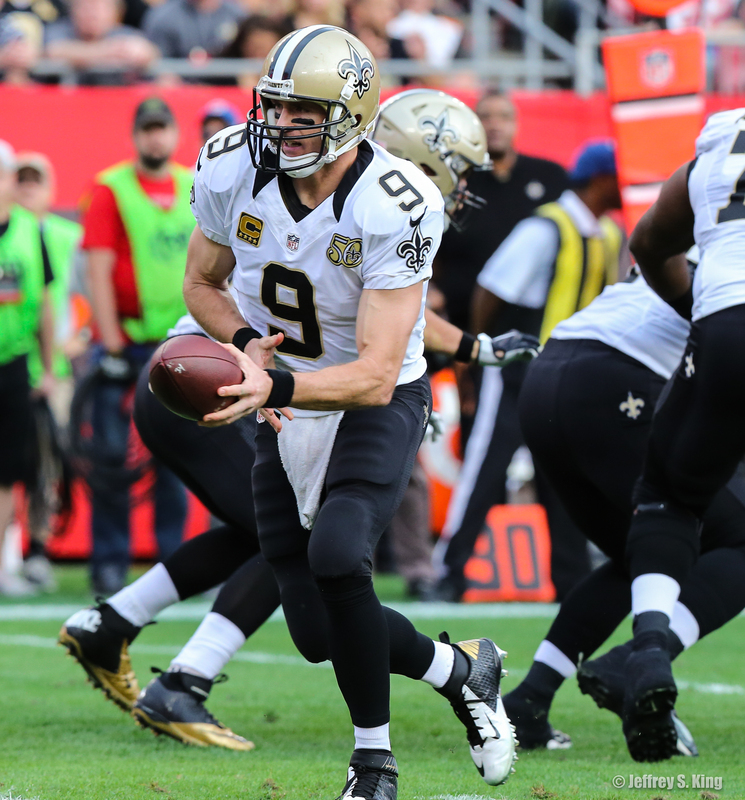 Taylor was one of the weak spots on the Buccaneers defense, as Newton targeted the fifth-year veteran heavily resulted in a perfect passer rating. 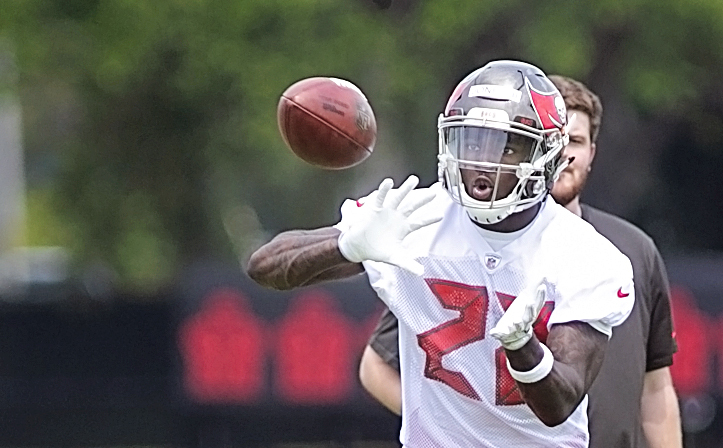 "Strong safety Mike Adams said that Reid’s ability to roam the secondary and keep everything in front of him was one of the keys to the game, since the Bucs like to take deep shots. “That’s the number one offense in the league,” safety Mike Adams said. “You’ve got to take that into consideration. We didn’t let them have anything. We gave up some things we shouldn’t have, granted, but it’s the National Football League. They get paid, too. Offense: No linemen. No running back. No Mike Evans. Fortunately, there is Adam Humphries. The Bucs threw to Humphries eight times. He caught all eight, including two for touchdowns. Defense: The Bucs broke up one pass all day. It was by Brent Grimes. Give him a Sno-Cone. Special Teams: Rarely does a day where a guy kicks four extra points turn into a big deal, but that's how badly Chandler Catanzaro has been doing. Quarterback: Ryan Fitzpatrick remains the Bucs' starter, but it wasn't as if he had to play great to keep the job. Fitzpatrick's first-half interception was Winston bad. Grade: D +. 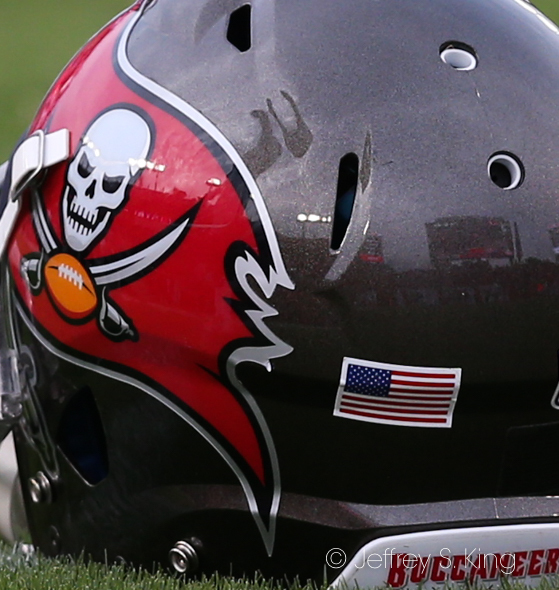 Running back: Why do the Bucs even bother? And whose idea was it to go into the season with Barber and nothing else? Grade: F.
Offensive line: Who was supposed to stand between Mario Addison and the quarterback? Just asking. 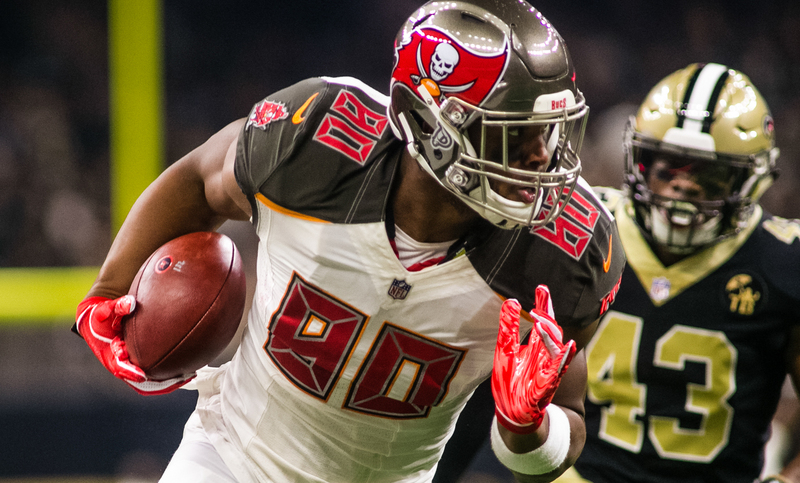 Grade: F.
Wide receivers: Adam Humphries and O.J. Howard helped make up for Mike Evans' disappearance. Grade: C.-. Defensive line: Two sacks doesn't forgive an awful day of non-tackling. A day of absence. Grade: D-. Secondary: The Panthers didn't push it much, but they forced only six incompletions. The Bucs allow completions like some teams allow handoffs. Grade: D-. Kicking: It was an average day. For this team, that's pretty good. Grade: C.
Coaching: Is this team getting better? No, it is. Grade: F.
1. Jacquizz Rodgers averaged seven yards a carry on his two tries and caught two passes. 2. Jerome Whitehead. He had eight tackles from his safety position. 3. 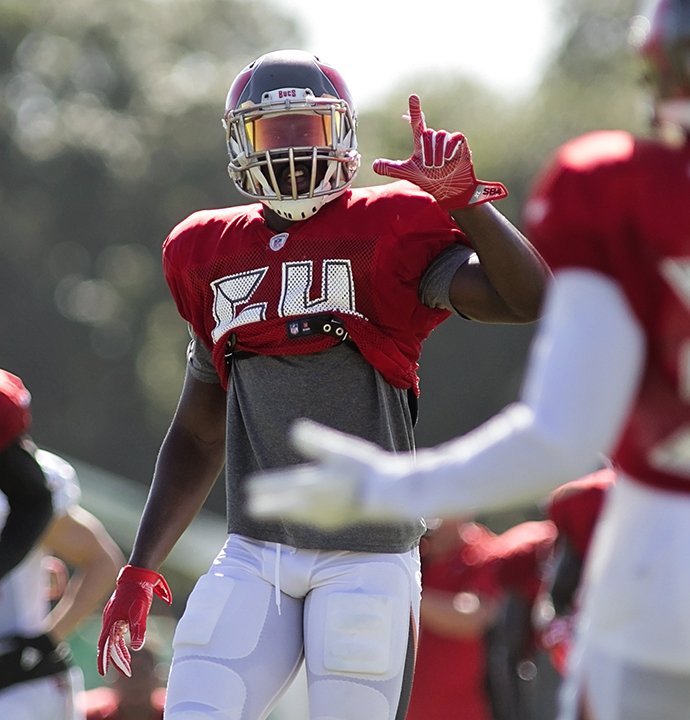 Sean Wilson is now within 20 yards of taking over the rookie lead in Bucs' rushers. 4. Bryan Anger averaged 46.2 yards on his punts. A shame he can't pass. 5. Cameron Brate doesn't get as much attention with the ascension of O.J. Howard, but he did catch three passes. 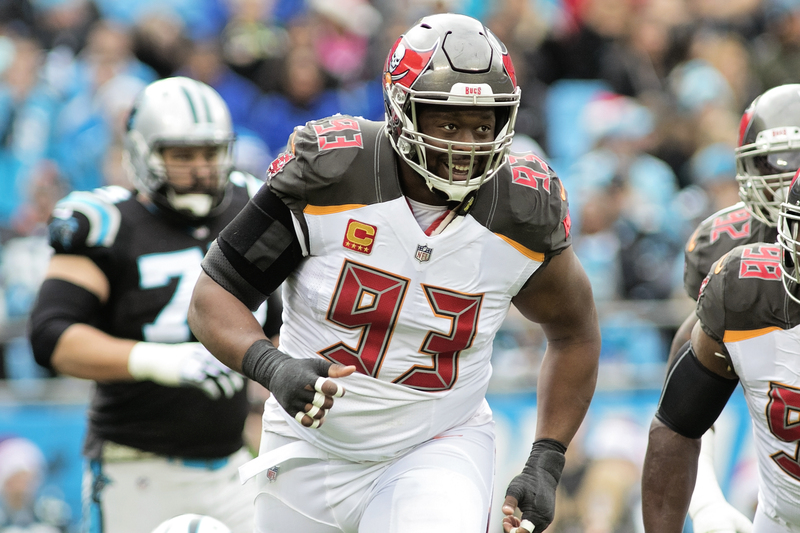 3-6-29 -- The Bucs' defense finally made a stop when Gerald McCoy and Lavonte David combined on a sack of Cam Newton for a nine-yard loss. 2-10-30 -- Fitzpatrick hit Adam Humphries, who weaved for a touchdown. 4-3-3 -- Fitzpatrick hit tight end O.J. Howard for the score on a fourth down. 1-10-32 -- Peyton Barber ran up the middle fo 18 yards. It was more than half of his day's production. 3-17-14 -- A team doesn't make a lot of third-and-17s, but the Bucs made this one when Fitzpatrick hit Chris Godwin for 25 yards. 2-8-22 -- Fitzpatrick had trouble finding Mike Evans all day, but on this play, he badly overthrew Evans. Safety Eric Reid intercepted the ball and ran it 39 yards back to the Bucs' 10, setting up the Panthers' first score. 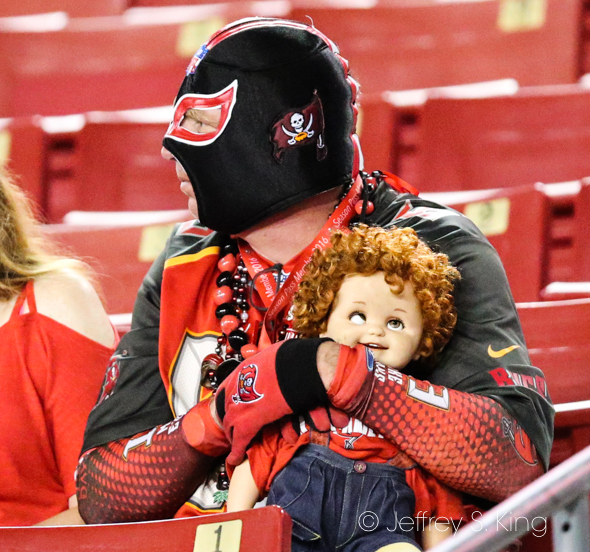 4-9-26 -- Desperation came to the Bucs early. In the second quarter, down 28-7, the Bucs faked a punt. Bryan Anger's pass wasn't anywhere near Alan Cross. 1-10-33 -- Curtis Samuel ran a long way on 33-yard double-reverse, but the play was memorable for all the feeble attempts at a tackle on the play. 1-10-29 -- On the Bucs' final play of the game, Fitzpatrick threw a deep pass to DeSean Jackson that was intercepted. 3-17-17 -- On third-and-goal from the 17, who would have expected a pass to Greg Olson? Well, everyone. 1. 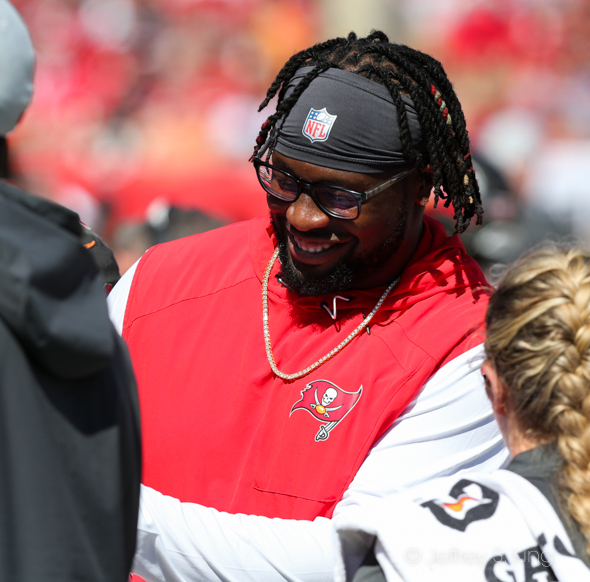 Nice of Gerald McCoy to break his silence. Alas, he had no explanations for a team that cannot tackle, cannot cover and cannot pass rush. The team picture looks good, however. 2. If bad performance led to silence, we'd be watching Fearless Marcel Marceau and Friends, wouldn't we? 3. Oh. So the problem with the sacks was "miscommunication." Funny, but other team's don't have "miscommunication" against the Bucs to nearly the same degree. 4. For those of you keeping score, Sunday was Mike Evans third-worst day as Bucs' receiver. He caught one ball for 16 yards, meaning that the other nine times he was targeted with were incomplete or intercepted. Evans had a one catch, 13-yard day last season against the Saints, and was penalized for his actions against Marcus Lattimore (Saints coach Sean Payton said he should have been ejected). In a September game of 2015, Evans didn't have any catches against the Saints. 5. 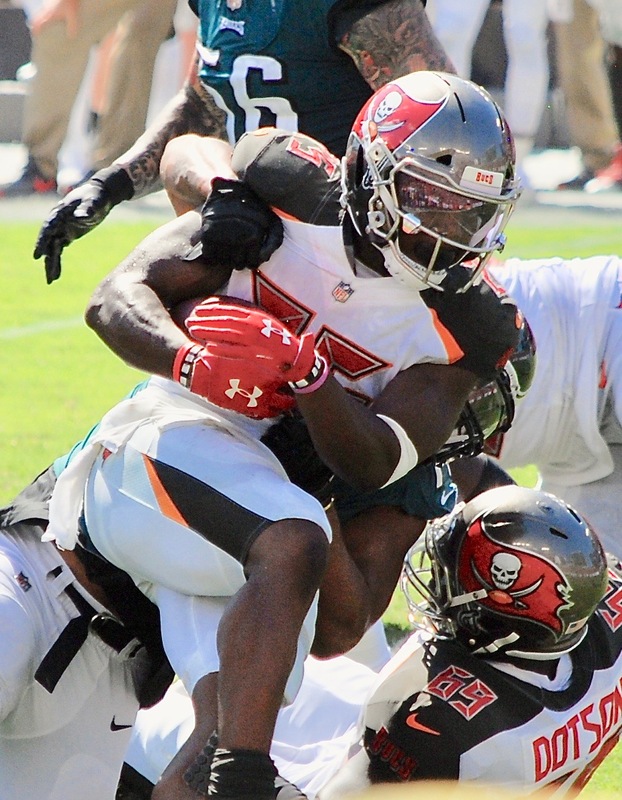 Yes, it was an awful day for Peyton Barber with just 31 yards on 11 carries. However, Barber has had three worst days ... this season. 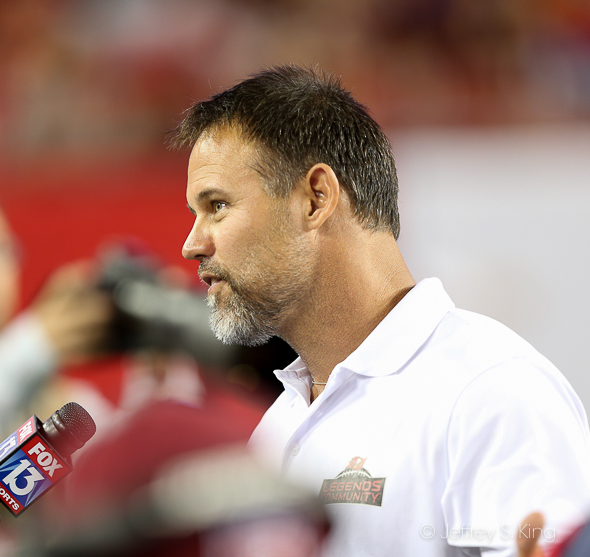 It was late in his career, and Mike Alstott already had established what he could do for the Bucs. But in 2005, he was the team's forgotten man going into Week ten game against the Redskins. Alstott had carried the ball just 11 times in the team's first eight games, and only four times in the previous six games. But against the Redskins, he had nine carries and scored two touchdowns. His big play, however, came with 58 seconds to play. The Bucs had missed an extra point, but Washington was offsides. Bucs' coach Jon Gruden chose to go for it, and Alstott squeezed into the end zone for the score and a 36-35 win. "It crossed my mind (to kick)," Gruden said. 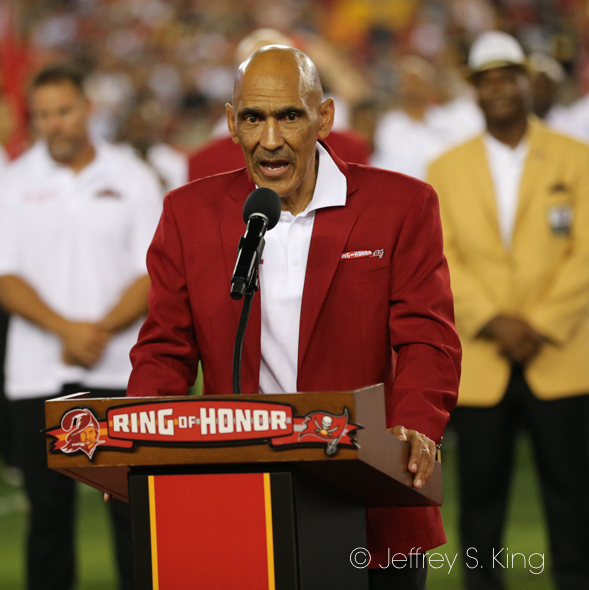 "But after the (offside) penalty, I wouldn't have been able to wake up (today) not knowing what we would have done with Alstott." Alstott would carry the ball just 15 more times the rest of the season. Still, that two-pointer validated his season. He carried just 60 times in 2006, his final season. That two-pointer was the punctuation to a Ring of Honor career.